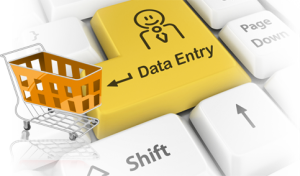 Pal-Source offers a comprehensive suite of data entry services designed to meet the specific needs of your business. With 17 years of experience in the field, ISO 9001:2008 quality standards to ensure the highest levels of quality, and our dedication and focus on the clients’ requirements, we offer the very best to each company we work with. This allows us to provide a gamut of data entry solutions including eBook data entry, restaurant menu digitization, enrollment forms and more. With our strong business processes, a well qualified data entry and processing team, robust infrastructure, security measures, you can be assured that your data entry work operations are in safe hands.